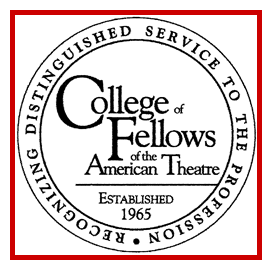 The Fellows Address has been popular at meetings of the College since 1975. Since the College held no meetings 1987-1988, there were no addresses those years and there were none in 1989, 1998, 1999, and 2015. At the annual meeting in 2000 a new name was introduced─The Roger L. Stevens Address. As the founding chairman of the Kennedy Center, Stevens had always been very supportive of the College. After his death in 1998, it seemed fitting to honor him. Fellow Ralph Allen presented the First Annual Roger L. Stevens Address, The Rhythm, Style and Meaning of Jokes. Below is a list of the Fellows who spoke (in alphabetical order), abbreviated titles of their speeches, and the year they presented. Clicking on the speakers name will open the complete text.